France is coming around after the first round of the presidential election which showed two favorites - the globalist’s henchman Emmanuel Macron who is the leader of a half- virtual, ideologically diverse movement “Let’s go”, and Marine Le Pen, the leader of right conservative “National Front”. She had only difference of two and half percent with the winner thanks to the efforts of cosmopolitan voters in big cities. At first sight, Le Pen does not have any chances to win in the second round, as she could not win in the first round. Why? Because liberals and left parties will oppose her. However, the opponents of Marine Le Pen, including Macron himself, do not think at all that the result is well-known and they can relax until 7 th of May, when the final presidential election will be held. The activists of the movement “Let’s go” are concerned about the fact that the French will not go to vote on 7 th of May because of the confidence in Macron’s victory, and this situation can give a chance to Le Pen who has more disciplined supporters. Moreover, after a new system of voting was approved in 1965 in France, there was a situation when a candidate, who had taken the second place in the first round, won a presidential election in 1974, 1981, 1995. Macron’s former “system” opponents – republicans Francois Fillon, Nicolas Sarkozy, far-left Jean-Luc Mélenchon - can also provide him a “clumsy assistance”, particularly, the current president of France, Francois Holland who is hated by people and who calls his supporters to vote for the leader of the movement “Let’s go” in the second round. Marine Le Pen blamed them for “votes selling” and it seems to be true, as these activists really hope to get their dividends when a new authority comes. Of course, it is not enough just to win the presidential election in France. It is essential to control the Parliament, and Macron can have all opportunities to do it. However, he has small chances to gain a parliamentarian majority but this “neither left nor right” politician will be easier to find supporters from left and right wing than Le Pen. 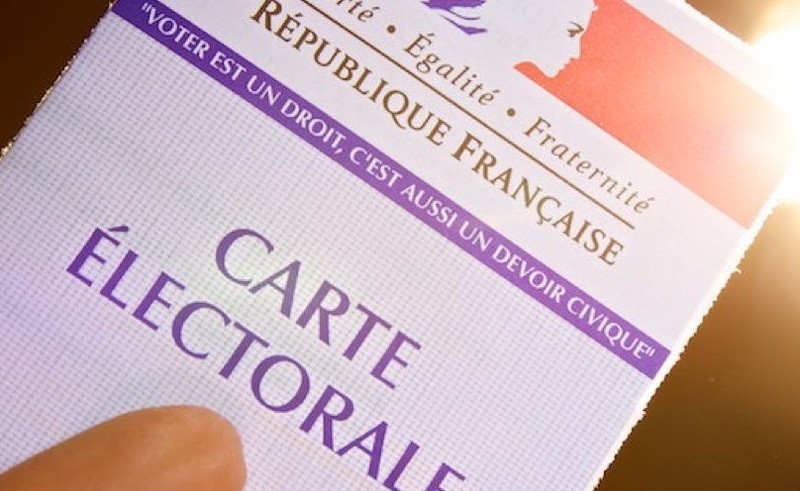 Moreover, the party which protects the French identity has only 2 deputies of 577 in the lower house of the Parliament, the National Assembly, and 2 places in the Senate. Here is how tricky the French election system is: one of the biggest political parties is considered as an outcast because of the different views with the establishment and cannot get loans from French banks. However, they are afraid of it. Leader of National Front attacks Macron and announces “presidential” statements Marine Le Pen is justifying her reputation of an uncompromising and determined politician these days. She says that her liberal opponent is a really “weak person” who “has no plan” how to protect the French from the Islamic terrorism. The leader of the National front also gives statements on foreign policy. “I want peaceful relations with all countries, I want them with the US and Russia and I want them with the UK”, Marine Le Pen said on air of the channel TF1. She posted on her Twitter account that she “wants a multi-polar world and respects all countries”. And she even announced she would have nothing against Angela Merkel if the Chancellor of Germany stopped letting illegal immigrants in France. Mainstream mass media, of course, tries their best in order to make Macron’s supporters not relax and it continues demonizing Le Pen and her party. It always accuses her of racism and antisemitism. It sounds like a sentence for “a progressive” European. However, this example illustrates well the lie of mass media that is controlled be the globalists. In reality, Marine Le Pen has nothing with racism because she thinks that people with any skin color can be French, she only demands respect towards France, its traditions, language, culture. She is even not against immigration; she only wants its limitation. How it can be called racism and “Islamophobia” that she demands from immigrants to follow French laws and she does not encourage their parasitical attitude and insists to respect women’s rights “on the streets, beaches, everywhere”, demands to close the mosques that preach hate and use religion to provoke hostility and for terroristic actions. As for antisemitism, the head of Marine le Pen’s preelection campaign, David Rachline, is a Jew; he was born in the family of USSR’s emigrants and he is the youngest senator and mayor of France and he has succeeded mostly because of the National Front. At the beginning, he was the head of its youth organization and. Also, this “antisemitism” party consists of French Jews, for instance, Robert Heimerdinger, the participant of the movement Resistance, Chevalier of the Legion of Honor, Michelle Ciardi, the founder of French Jews Union. A lot of Jews vote in the lower house and they think that the National Front is their only protection from a “green fascism”. Besides, the same situation is happening in Germany too where a non-systemic and “anti-Semitic” Alternative for Germany is getting popular within the Jews in spite of the fact that calling to avoid it, as it does not match the globalist, quasi liberal project made by the German top of Jewish community. Here, we see what experience France has on the eve of the presidential election: no matter what kind of result will be, France will not stay the same. However, if the French do not realize it fast, it could be too late and France could disappear. Le Pen and her supporters understand it well.